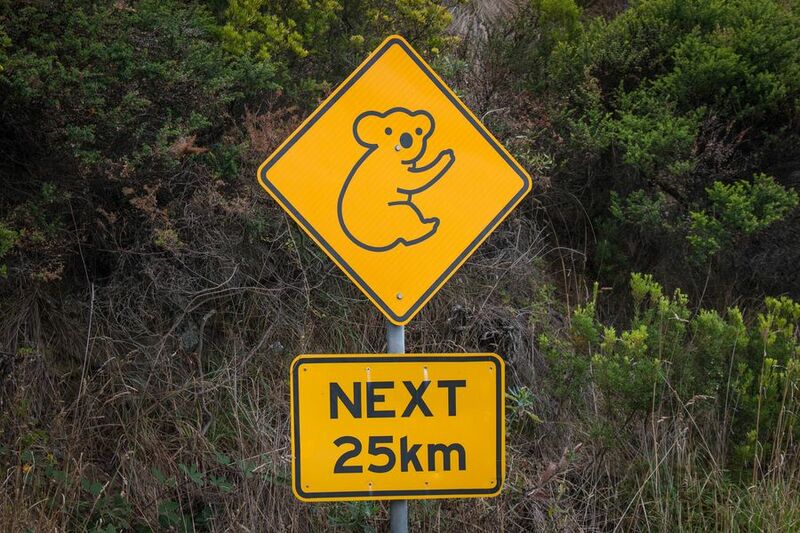 Home » Destinations » Eastern Australia » 9 Cutest Australian Animals: Can You Eat Them? During a recent road trip along the Great Ocean Road in Victoria we passed a number of animal crossing signs. It turned into a fun game, spotting them all and attempting to photograph them as well. Australia is blessed with an abundant array of animals unique to the Land Down Under, but in this post I’m going to focus on our 9 favourite Australian animals. Animals that most people recognise. Animals that most people want to cuddle. Animals that most people would not think to eat. In line with traditional Aussie irreverence, I’ve heard Australia is one of the only countries in the world that eats its national symbols (or not). But can you eat all our favourite animals? Let’s take a closer look. Everyone’s favourite Australian animal. When you think of Australia you think of kangaroos. While we don’t ride them to school contrary to many foreigners’ beliefs, they are regularly found hopping around large parks or outer suburban bushland across Australia’s cities. Kangaroos are “macropods”, meaning “big foot”. There are many species of kangaroo, but the most famous is the huge Red kangaroo. All kangaroos are herbivores and their biggest predator is us, humans. Interestingly, Australia exported kangaroo meat as early as 1959, but it was not legalised for human consumption in most Australian states until 1993. 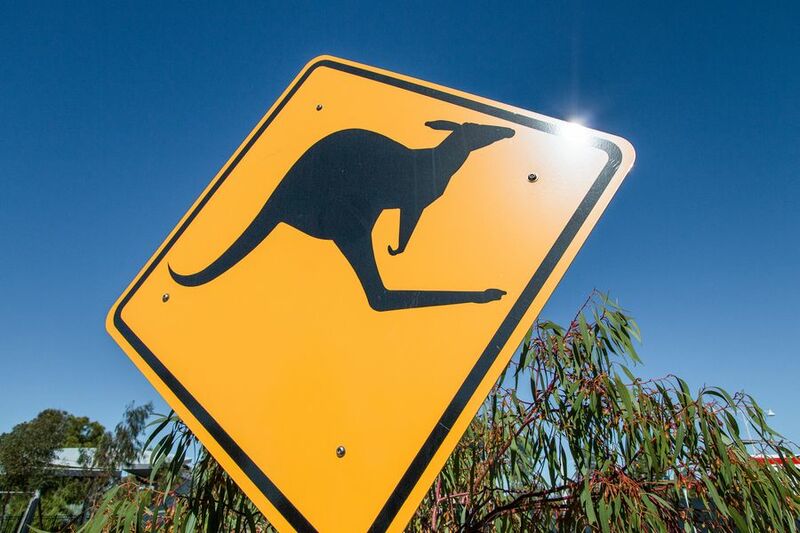 Exported to over 55 countries worldwide, kangaroo meat is high in protein and low in fat. Most Australian supermarkets carry various cuts of kangaroo – fillets, steaks, minced meat and ‘Kanga Bangas’ (kangaroo sausages). Josh likes kangaroo. But because of its low fat content it’s an unforgiving meat in the kitchen, and can quickly be overcooked making it tough and chewy. Best cooked medium-rare. Cuddly, adorable koala bears… that aren’t bears or cuddly. The Koala might look soft and huggable, but they have razor-sharp claws and are highly unsociable animals. These placid creatures generally only eat eucalyptus leaves, which means energy levels are flaccid around the clock. In fact they spend roughly 20 hours per day sleeping. The Koala is listed as vulnerable in the Australian Endangered Species List. It is estimated that there are approximately 100,000 koalas living in the wild and as such you are not allowed to eat them. It is illegal to keep a Koala as a pet anywhere in the world. The Emu is the largest bird native to Australia. Emus can’t fly, but they can sprint up to 50km/h (31 mph). The birds are nomadic and usually feed on plants and insects. Emus are farmed for their meat, oil and leather. Like kangaroos, they are low in fat and high in protein. The American Heart Association recognizes emu meat as a healthy alternative to beef. Josh describes emu as being similar to beef, but more gamey. Catch the emu before it gets away. This short-legged, muscular marsupial is native to Australia. They grow to 1 metre in length and are often considered a cross between a rat and a bear. Another cuddly creature that can be dangerous for humans, because of their blade-like claws and treacherous teeth. Wombats are on the protected list and it is illegal to kill them. Some species of wombat are even on the endangered list. The Platypus is one of Australia’s strangest animals and is one of two mammals that lay eggs instead of giving birth to live young. The Platypus is covered with dense, brown fur that traps a layer of insulating air to keep warm. The fur is waterproof and similar to that of a mole. Interestingly the Platypus is carnivorous. The Platypus is poisonous so don’t even try. Up until the 20th century it was hunted for it’s fur, but it is now a protected species. And the eggs? Well at a minuscule 11mm in diameter you are going to need a lot of eggs to make a decent-sized omelette. A medium-sized, solitary mammal with coarse hair and spines, usually black or brown. Beside the Platypus, it’s the only mammal that lays eggs. Found in Australia and New Guinea, the Echidna eats ants and termites. They have short, strong limbs with long claws designed for digging. I mean it’s spikey, ouch. Don’t even try. The happiest animal in the world! You can read more about quokkas in our post on Rottnest Island, where they are located. These adorable macropods are much like a small kangaroo. It would be an expensive meal; since it is illegal to even touch a quokka you could be facing a AUD$2000 fine. Plus it smiles at you, how could you? Beautiful carnivorous birds known for eating their young as well as stealing sausages off your fork at the local park barbie (barbeque). Good luck catching these crafty birds. They will probably be laughing as they fly away. A dingo is a free-ranging wild dog found mainly in Australia. It is the largest terrestrial predator in Australia and is classified as a subspecies of the grey wolf. Even though these dogs are efficient hunters they are listed as vulnerable to extinction due to interbreeding with domestic dogs. Would you eat a dog? Maybe you shouldn’t answer that. So what’s for dinner at your house tonight? A tasty kangaroo steak or perhaps crocodile is more your style. Crocodile? For sure! Come read the second post in this series: 5 Deadliest Australian Animals: Can You Eat Them? Great list and photos, are you lucky enough to have seen them all in the wild? I've been trying to make it my mission since I arrived Down Under 2 years ago, but so far the Wombat, Echidna, Quokka and Platypus have still evaded me! Any ideas on good places to spot them in the wild? I’ve not seen the Wombat or Platypus in the wild. But the others yes. 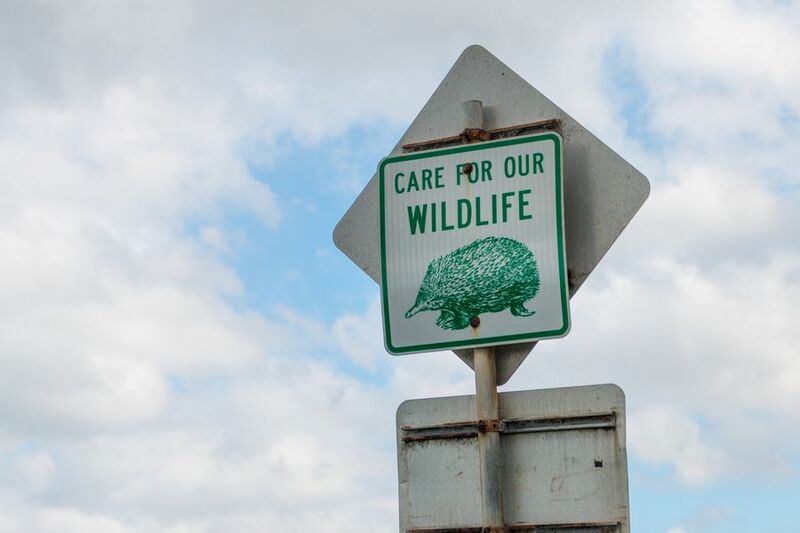 The echidna was crossing the road when we were doing the Great Ocean Road and the Quokka’s populate Rottnest. I don't think I want to see a wild wombat, but a platypus would be cool. Kangaroo is one of our staples, yet to try emu. he only meat we eat more of is chicken. It's got much more flavour than beef and I don't like lamb. Given the choice our 8 year old will choose roast roo. I was surprised by the Kangaroo, I really had no idea that they were used for meat. Very interesting and definitely unique article! This could possibly be the funniest post ever :) I will have to think twice next time I get a craving for platypus! I hate to correct you - but the echidna is a much sought-after dish by our indigenous people, at least in the country region where I live. As you know, natives are allowed to hunt and kill the wildlife as long as it is done in the traditional way. Some canny chaps actually do it as a service for families who would rather not do it themselves and sell it at a premium - but it is no more expensive than buying an expensive cut of meat. They are humanely killed and then prepared. It is considered an honour for a non-indigenous person to be invited to partake of an occasion featuring this dish on the menu - I have not been invited but I know many who have - and I'm told it is cooked like and tastes like home-made KFC. Great round-up! I've eaten emu here in the UK but don't think I've ever tried kangaroo. I hope one day a few more of these may become edible! Not that I want to eat them but it would mean they were out of danger as a species. Thanks for sharing nice pictures of animals in Australia. Me and my 3 year old daughter are staring at the kid embracing the kangaroo and she's really fond of it! I hope I can take her there someday. Bronnie - I love to be corrected! That is so fascinating, thanks for sharing! I ate a kangaroo burger a few months ago... in Oregon, USA of all places! There is also an emu farm not too far from where I live... maybe I'll try it someday! What a bizarre post! hahahahah. Seriously though, we did try kangaroo sausages while we were in Australia, but I could not ever imagine eating my favorite animal....the koala!!! I'd love to try dolphin.